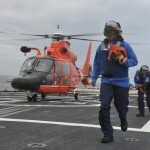 In September 2012, the US Coast Guard undertook an exercise called Arctic Shield 2012. The operation was part of the US Northern Command exercise schedule and tested the Spilled Oil Response System and worked to strengthen law enforcement and Search and Rescue (SAR) capabilities in the Arctic regions of Alaska. 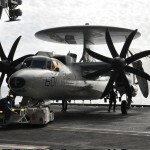 This month we offer a feature highlighting one of the US Navy’s workhorse aircraft, the E-2 Hawkeye, which serves as the eyes and ears of the fleet while at sea deployed around the world. Continuing our series of art features, this month we review some of the incredible aviation artworks that hang in the halls of the Pentagon. 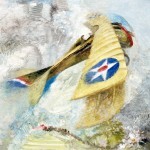 Many artists are well known, such as Keith Ferris and Rick Herter, and others are almost unknown, sometimes even the art of the soldiers and airman who painted what they saw.